Portland might soon be getting a new large-scale music venue. 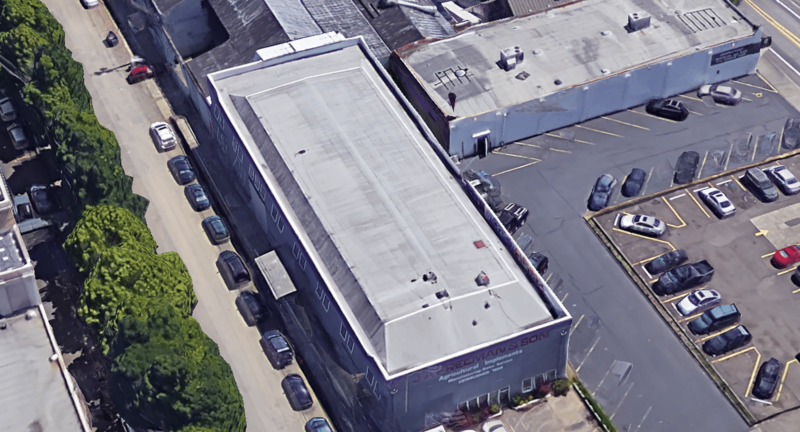 Documents show that homegrown entertainment company Monqui Presents is seeking to build a 3,000-capacity concert venue where a couple of aging warehouses sit in industrially-zoned Northwest Portland, across the street from Montgomery Park. Representatives from Monqui declined to comment, saying only that “it’s too early in the game.” But staff from Monqui and its developer, Langley Investment Properties, met with two Northwest Portland neighborhood associations in recent months to share plans. Google Street View photo of site of proposed venue. The preliminary architectural plans for the new development, submitted by LRS Architects, reveal a two-story structure with a mezzanine. The scale is significant. The development covers a full half-block, between NW 26th and 27th and Vaughn and Wilson. At 3,000 capacity, the new venue would be comparable in size to the more formal, seated Arlene Schnitzer Concert Hall and Keller Auditorium, and about twice the size of the Roseland Theater and Crystal Ballroom. Currently in the city’s land use review process, the project faces hurdles.